TAME’s traveling STEM-museum-on-wheels invites everyone to get excited about the world around us, from outer space to inside our bodies! 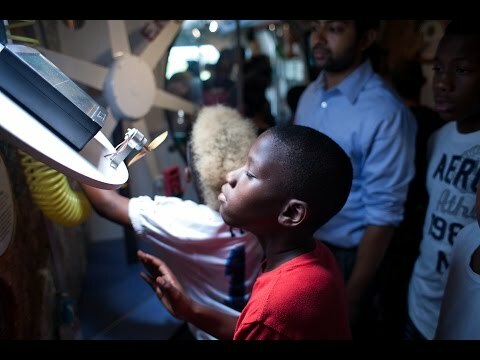 The Trailblazer program reaches potential where it lives, bringing interactive exhibits on energy, space, biotech, weather, and aerodynamics to communities across Texas. What’s more, students visiting the Trailblazer are stepping into a network that is designed to support them as they advance - from after-school TAME Clubs to STEM Competitions, and on to college scholarships and mentoring. Step on board and see where the Trailblazer takes your students! What can you expect from a Trailblazer visit? A boost for your STEM curriculum: the Trailblazer’s engaging, hands-on exhibits are mapped to TEKS for grades 3-8. Teachers receive pre-visit activities and follow-up materials, including lesson plans and curriculum. Room for the whole class (or the whole family! ): The Trailblazer is a 40-foot trailer that can accommodate 30 visitors at a time, 35-45 minutes per group, about 200 students per day. STEM excitement, delivered: A TAME Facilitator delivers the Trailblazer to your location, trains volunteers, and manages the Trailblazer experience at your location. A fun and rewarding volunteer opportunity: Recruit six volunteers (minimum age – 9th grade) to serve as docents. We’ll provide the training. No special experience is necessary. A great reason to throw a party: Ask us how one of our Trailblazers can anchor your Family STEM Event! Learn all about what happens when the Trailblazers visit schools across Texas. 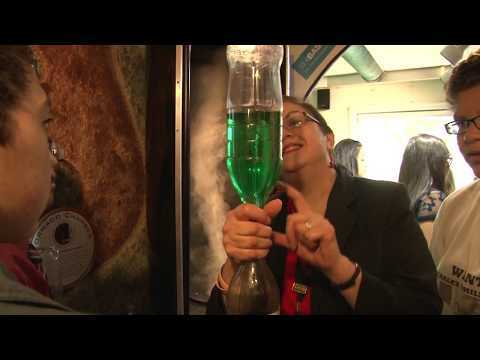 This segment about the TAME Trailblazer Space Exhibit was recorded for News 8 Austin. The TAME Trailblazer is a 40-foot mobile science & engineering exhibit with 7 hands-on exhibits. The Trailblazer participated in the 2011 Austin Science & Engineering Festival at the Austin Convention Center. De Leon Middle School is visited by (T.A.M.E.) 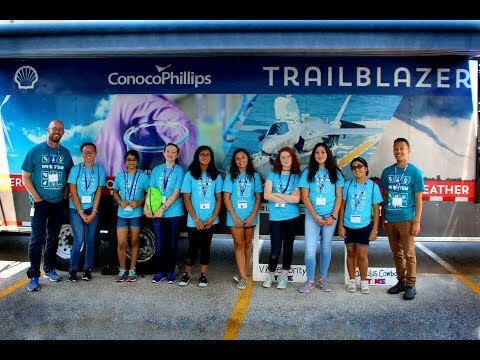 The Texas Alliance for Minorities in Engineering Trailblazer trailer, to show students first hand the opportunities in Science, Technology, Mathematics and Engineering. The Texas Alliance for Minorities in Engineering brought their "Trailblazer Trailer" to GCISD's STEM campus, Cannon Elementary, to give students a look at the wide world of engineering. 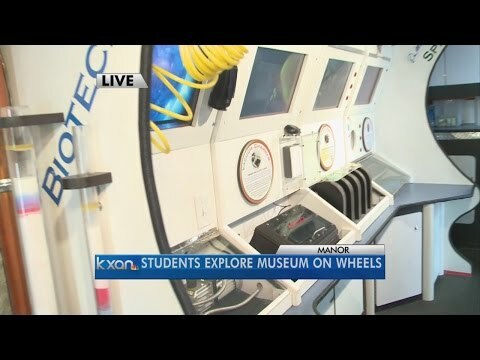 Students enjoyed interacting with multiple hands-on stations in the truck and learned about numerous opportunities in the fields of science and engineering. 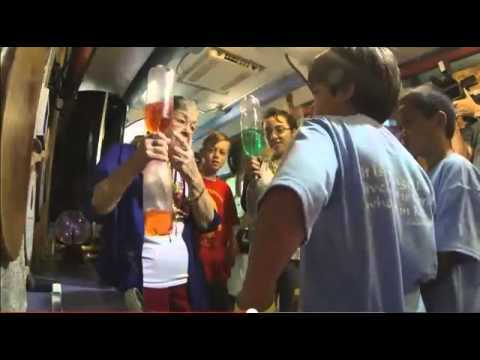 On Sunday 10/9/11, ABC aired a special on Energy Day 2011. Here is a clip about the TAME Trailblazer that was featured on the special. 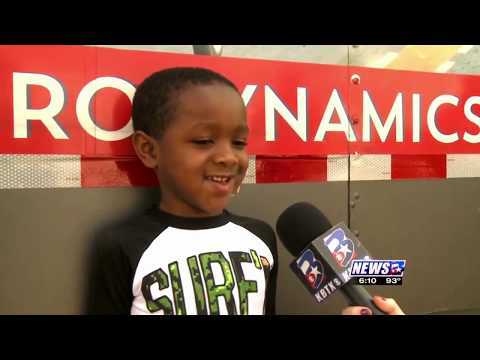 A special thank you to ABC KTRK-TV Houston for providing TAME with a copy of this clip! "On behalf of our faculty and students I would like to thank you and the members of your organization for the Trailblazer visit... Our students had a blast!!! I am confident that the exhibit was a powerful tool in making our students aware of the importance of engineering and its practical applications. It’s always good for students to realize how cool science actually is." Exhibits are mapped to science TEKS for grades 3rd-8th, and teachers receive pre-visit activities and follow-up materials to sustain student interest long after the Trailblazer drives off campus. Each Trailblazer, housed in a 40-foot trailer can accommodate 30 students at a time. Students take at least 35-45 minutes per group, and about 200 students can visit each trailer per day. The hosting organization provides a minimum of five volunteers. A TAME Trailblazer Facilitator delivers the Trailblazer and trains volunteers. Educators are provided with follow-up materials. For scheduling and cost information, please contact the Trailblazer Program Coordinator at trailblazer@tame.org or at (512) 471 6100. Please provide the location of your school or event and the requested time frame, if available. For libraries experiencing the Trailblazer this summer, please click here for supporting materials. TAME provides host schools, libraries, and organizations with digital follow-up curriculum for educators to use in the classroom. In 2016, TAME received funding from partner Shell Oil Company to provide take-home bookmarks for students to share with friends and family. Each bookmark corresponds to one of the five different concept areas (Aerodynamics, Biotechnology/Medicine, Energy, Space, and Weather), highlights a STEM career, and shares a simple hands-on science activity to try at home. Students are also encouraged to visit TAME.org/Play to explore in-depth science, play STEM games, view immersive 360° Virtual Reality videos, try engineering projects, and learn more about the Grand Challenges of engineering that humanity will face in the next 100 years. TAME works hard to keep both Trailblazer mobile STEM museums up-to-date. We focus on exhibits that feature hands-on science and provide scripts to help volunteers talk with students about career opportunities. The exhibits are sorted into five different concept areas: Aerodynamics, Biotechnology/Medicine, Energy, Space, and Weather. Click below for more information on some of our past and present exhibits that make a Trailblazer visit an experience to remember. For more information about our past or future Trailblazer visits, or to learn more about how you can help sponsor visits and Family STEM Events, please contact our TAME State Office.